Untitled (First Amendment), 2018. Charcoal on mounted paper, 70 x 99 inches (177.8 x 251.5 cm). Charcoal on mounted paper, 93 x 70 inches (236.2 x 177.8 cm). 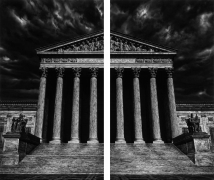 Untitled (The Supreme Court of the United States (Split)), 2018. Charcoal on mounted paper, 121 1/8 x 146 3/8 inches (307.7 x 371.8 cm). 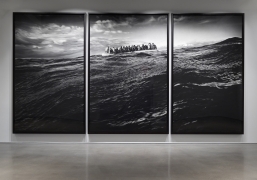 Untitled (Raft at Sea), 2016-2017. Charcoal on mounted paper, 140 x 281 inches (355.6 x 713.7 cm). Untitled (X-Ray of Venus with a Mirror, 1555, After Titian), 2016-2017. Charcoal on mounted paper, 110 x 92 1/4 inches (279.4 x 234.3 cm). 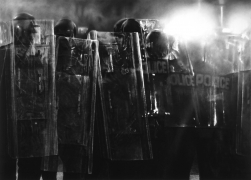 Untitled (Riot Cops), 2016. 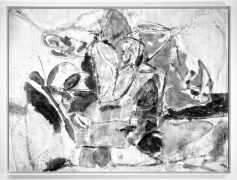 Charcoal on mounted paper, 2 panels, 101 x 140 inches (256.5 x 355.6 cm). Charcoal on mounted paper, 93 1/4 x 68 inches (236.9 x 172.7 cm). 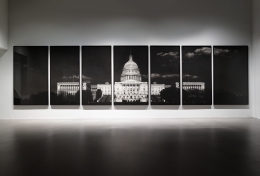 Untitled (Capitol), 2012-2013. Charcoal on mounted paper, 7 panels, 121 1/8 x 493 3/8 inches. Untitled (Gong Li), 2015. Ink and charcoal on mounted paper, 56 x 70 inches (142.2 x 177.8 cm). Charcoal on mounted paper, 60 x 48 inches (152.4 x 121.9 cm). 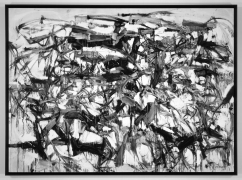 After Pollock (Autumn 2013 Rhythm, Number 30, 1951), 2014. Charcoal on mounted paper, 91 1/4 x 180 inches (231.8 x 457.2 cm). After Mitchell (Ladybug, 1957), 2013. Charcoal on mounted paper, 69 1/8 x 96 inches (175.6 x 243.8 cm). After Frankenthaler (Mountains and Sea, 1952), 2014. Charcoal on mounted paper. 70 x 95 inches (177.8 x 241.3 cm). Untitled (Pascale in a Burka), 2011. Charcoal on mounted paper, 96 x 70 inches (243.8 x 177.8 cm). Untitled (Tiger Head, No. 8), 2012. Charcoal on mounted paper, 92 x 70 inches (233.7 x 177.8 cm). Untitled (Men in the Cities), 1981. Charcoal and graphite on paper, 96 x 60 inches (243.8 x 152.4 cm). Charcoal and graphite on paper, 108 x 60 inches (274.3 x 152.4 cm). Untitled (Men in the Cities), 1979/2009. 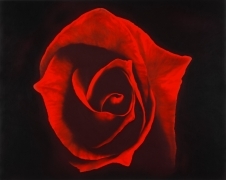 20 x 16 inches (50.8 x 40.6 cm).